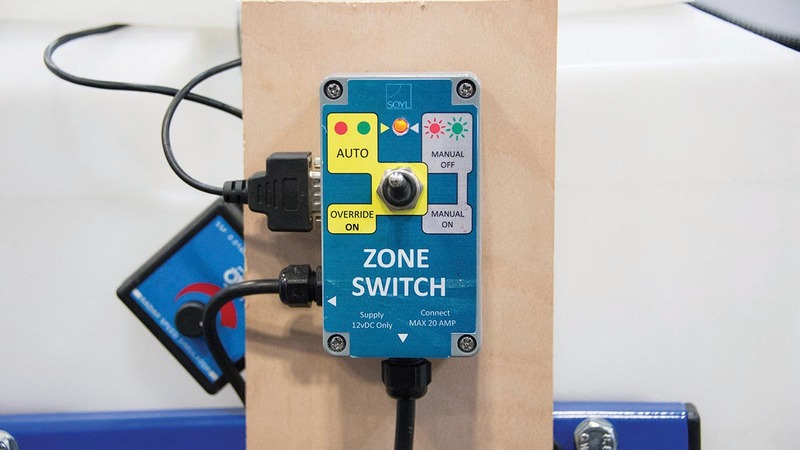 SOYL launched its new hardware development ZoneSwitch which allows the automatic switching on or off of granular applicators based on digital map data. Distinct from variable rate applications, which will vary the rate of applied, product, the ZoneSwitch detects if a product should be applied or not. This allows the operator to automate patch application within fields and/or restrict application of products around features such as watercourses or buffer zones. SOYL expect the technology to be most useful for targeting Avadex and slug pellet treatments to specific areas within a field. The hardware is designed to be used with the ‘custom applications’ module in MySOYL, and is compatible with the SOYL app iSOYL.